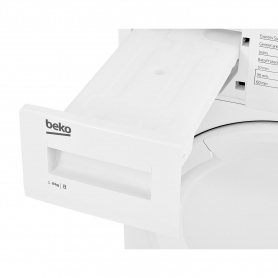 Exclusive to Euronics and Agent stores, this condenser tumble dryer from Beko features a clean white finish to suit any kitchen or utility room. 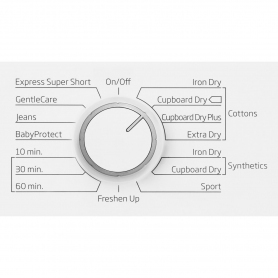 Drying your wet clothes needn’t be a hassle. 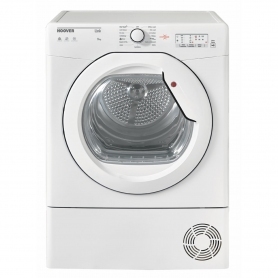 This great appliance has been carefully designed to make laundry easier. 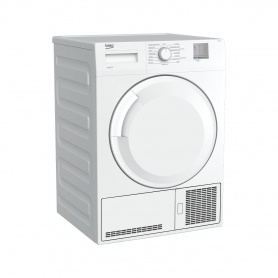 This tumble dryer can hold up to 8kg of laundry. 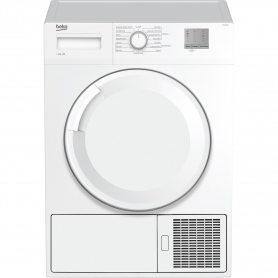 This makes it an ideal choice for busy families who get through lots of washing. 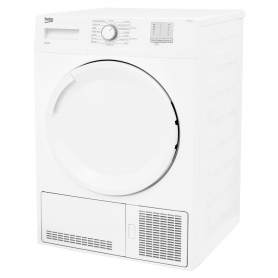 If you’ve got a large capacity washing machine, you’ll need a big dryer too, so you can transfer all your washing across in one go. 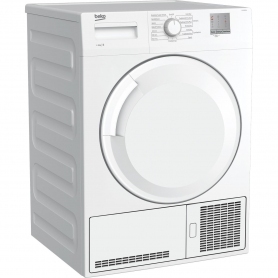 A major benefit of having a bigger capacity dryer is that you can save time and money by running fewer loads. 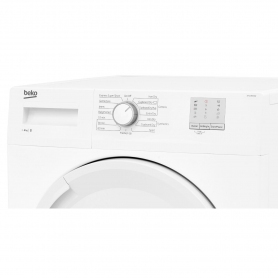 This Beko appliance features sensor drying programmes, so you can enjoy better energy efficiency when drying your laundry. Sensors inside of the drum monitor moisture levels, stopping the cycle when clothes have reached the desired level of dryness. 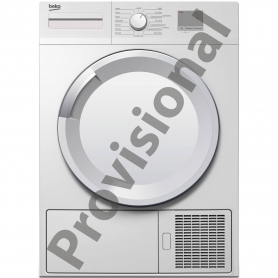 This prevents over-drying, which can shrink or damage your garments, and saves you time and energy. An Auto Cooldown phase also features on this model. 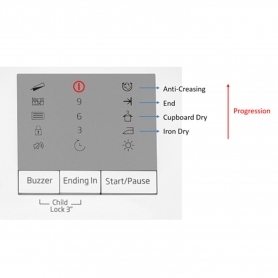 Just before the cycle ends, cool air is blown into the drum, allowing you to comfortably unload your freshly dried clothes. Not a fan of ironing? 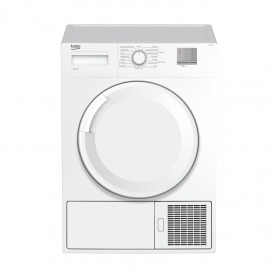 You’ll love the DTGC8001W’s anti-crease function, which takes extra care to keep your clothes smooth and wrinkle-free. 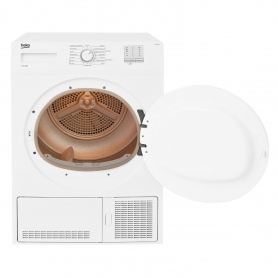 As a condenser dryer, this model has an internal reservoir for collecting excess water extracted from your wet clothes. This means you can put it anywhere in your home, unlike some vented models that have to be stored near a window or external wall. 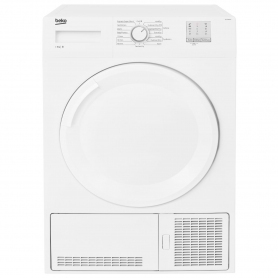 This 8 kg condenser tumble dryer makes short work of laundry - why not place an order today?